The UK bedroom textiles market is set to grow by 12.5% between 2017 and 2022, with just over 80% of purchases made to replace existing textiles and around 58% made to achieve a new look, according to GlobalData, a recognized leader in providing business information and analytics. 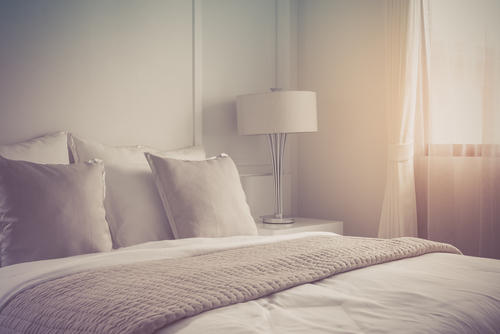 The company’s latest report explains how retailers are successfully able to target shoppers by suggesting that replacing bedroom textiles at regular intervals is an important practice to maintain healthy and hygienic sleep habits. GlobalData believes retailers should also aim to capitalise on the increasingly fashion-oriented environment of the bedroom textiles space. For example, Hygge, a trend embracing Scandinavia’s minimalistic way of living, directly impacted the look of bedroom textiles in 2016 as consumers sought cosy yet minimalistic décor. ‘Lagom’, meaning ‘just the right amount’, is the next Scandinavian lifestyle trend to hit the headlines, and a good example of the sort of household trend development retailers should track in order to stay ahead of the curve. Information based on GlobalData’s report: Bedroom Textiles, 2017.